I did something really naughty. Well, in my opinion it was necessary. I had handed in my resignation last week. I am finishing at my job next week. I had just had enough of people shouting at me and being mean for no reason. It was not an environment I could see myself working in on the long run and when my boss was rude to me last week, I knew I had to leave. The only problem is, he has been making my last few days hell and even making it difficult for all the proper documentation to be processed so that I can leave with a certificate of service and my pay for days worked. I guess it is not so bad, wait till you hear what I will have to say on 1 August. My timing could just not have been any worse. But I have this feeling that something good is lurking around the corner. Charlie is just the most energetic and fun horse that you can imagine and even though he knew that he wanted to be a great racehorse when he grew up, he quickly finds out that the journey to getting there is not quite so easy. I enjoyed living this journey with Charlie and cheering him on. Once again, there is a strong message in this book about always trying your best and never giving up, which I find to be uplifting. I also loved the fact that there are a lot more illustrations in this book, as they are always wonderfully done. 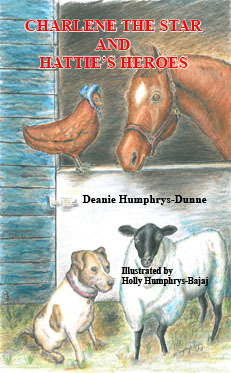 You can purchase a copy of the book Here or you can visit the author Deanie Humphrys-Dunne Here. This book is a biography of Deanie Humphrys-Dunne’s life and her wonderful adventures growing up on Sweetbrier farm. I must say that she had outdone herself with this one and that the message, about never giving up no matter how hard things get or how many times you fall down, just stuck with me. Her story is an inspiration and it is just wonderfully written and reads easily. I couldn't stop reading because I wanted to know more and what she was going to experience next. If you are in need of some inspiration, read this book. I also loved the usage of personal photos in the book and as usual, the illustrations were just amazing. 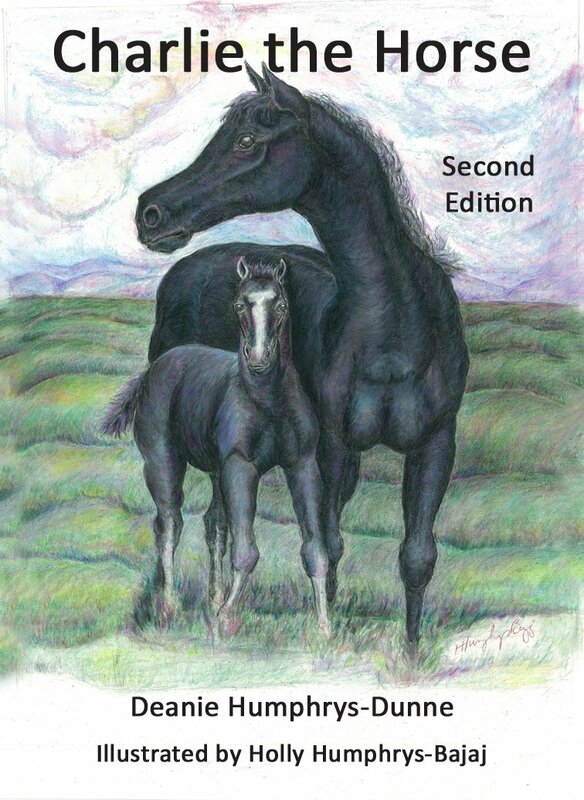 You can purchase a copy of the book HERE or you can visit the author, Deanie Humphrys-Dunne HERE. Charlene is back and this time she has more friends to take a long on this great adventure. I loved this book because there were great lessons to learn, like never give up. Another aspect that I found to be important is friendship. Having great friends or people who believe in you is priceless, but more importantly, you must believe in yourself. The book was a joy to read and once again, the illustrations were superb. The rain is just beating down on our roof right now and I must admit people, I am feeling like writing. It is something about the sound of the rain that just gets to me. It calms me and the writing juices flow. I guess I like the rain weather here, because tomorrow the sun will be shining bright again and there would be no traces that it had been dark and gloomy the day before, as if the rain had never happened. So no matter how much it rains, you are guaranteed that the sun will shine again soon and brightly at that. These are the last 11 days until my contract expires with my literary agent and until I can say what is and has truly been on my mind for a while. I have asked her to withdraw my manuscript from the entire submission process, so now I am just waiting out my contract. My colleague, the one who doesn't like me, has been offered a transfer. It is a better position with a better chance of advancement in the future and she accepted the offer. She will be leaving next month and then there is the prospect of my boss needing to replace her with someone else. I am still looking for another job too. The company I work for is just...lets just say we have different ideas of what is right and wrong. The sooner I find something else the better. I actually did apply for a new job today, but a lot of people applied for it, so we'll see. 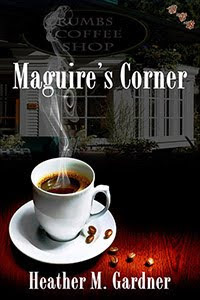 Maguire’s Corner by fellow blogger, Heather M Gardner is Half Price over at Front Porch Romance! It is definitely a must read and oh so enjoyable. I got my copy and I am loving it. It is fast paced and I can't stop wanting to find out what happens next. You will not be disappointed. Just so that you know, it is also available in PDF format, if like me, your software is not e-book compatible. July month, has been a very slow blogging month for me so far. 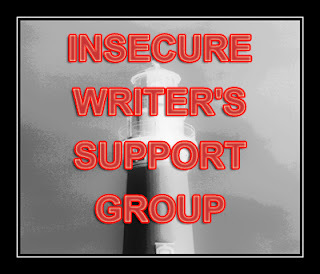 I am finding it hard to blog about certain topics this month, because I will only be allowed to talk about them at the end of this month, so stay tuned. I have been doing a lot of thinking and a little bit of writing. The thinking entails what I am going to do when my contract with my agent expires at the end of this month. We have been together for a almost a full year at the end of this month and nothing to show for it...blah blah blah. The writing is taking me strange places. I am totally taking myself and my main character out of her comfort zone, doing all kinds of things that the good girl shouldn't. It has been a long while since I have been so excited about a book that I am writing. In a strange way, the closer my contract is to expiring, the more writing I am getting done. That is just so weird. What are you up to? I am really happy to have author and fellow blogger, Celeste Holloway from Words Done Write guest posting on my blog today. 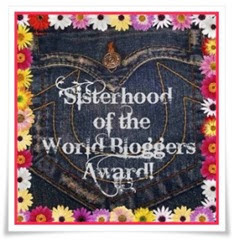 Hello, and thanks for saving me a spot on your blog! 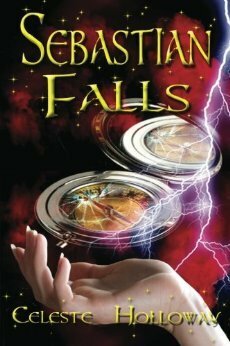 If I had to dish on Sebastian Falls, I’d say it pulled me out of the depths. While writing SF, I was smack in the middle of a crisis, and sorrow transformed into productivity. Instead of taking my frustrations out on the world, I poured them into my characters. Now, I’m a true believer in the saying, “Something good always comes out of something bad.” No matter what happens, I’ll always be grateful for the things I don’t understand and how they serve a greater purpose in my life than what is visible. Grasping to help her find closure, Meadow’s best friend, Casey Somner, drags her to the place her parents were obsessed with—the historical landmark that fuels Meadow’s fears and nightmares. Once Meadow steps foot on the hallowed ground, she has a supernatural encounter that leaves her stricken with terror, but charged with power, fulfilling the legendary prophesy about the coming of The Keeper. Both the holy and the unholy have waited over a hundred years for a new Keeper to resurface. Like it or not, Meadow’s destiny as Keeper is sealed, and the battle for her soul begins. A sharp double-edged sword, she will either save the world from Armageddon or fast track its annihilation. Writing has always been my way to vent and to express myself. I might not always have written novels, but I have always been writing in one way or another. I have this strange habit of not writing when I feel sad or upset, which is ironic, as it is the best opportunity to get rid of those unpleasant feelings. I can definitely not imagine my life without writing. I guess it has become part of me and in some way it defines me. Yet, whenever I talk about my writing to anyone else, I am shy and I wonder if I should change the subject, before they ask me whether I am any good and whether I am published. I think that there are very few things in life that truly make you feel wonderful and beaming. For me, one of the best experiences...is when you read a book that leaves you feeling inspired, happy and satisfied. Whether you simply enjoyed the story or whether you can relate to the characters, it doesn't matter. What matters is that you truly enjoyed the book so much that it influenced how you felt afterwards. Well that is exactly what I want to do. I want to write books that touch people's hearts, draws them in, leaves them feeling happy and wanting more. I don't care if I am recognized by the book critics as a great writer or if I win writing awards. All I ever wanted was to share my work and hopefully make people feel as good as other writers and their work has made me feel. I want my work to help other people get through tough times as many great books have helped me. That is why I write.